Who would not like to stand out? If you would, then at least do it for the right reason. Tom Ford Extreme Eau De Toilette Spray is the fragrance you need to turn heads as you walk by. Maybe even get complimentary statements here and there while you’re wearing it. This Tom Ford cologne is a fairly masculine fragrance and was launched in November 2007 as a limited edition cologne. Produced by Tom Ford for Men, this Tom Ford Extreme EDT Spray is an elevated version of the Tom Ford for Men fragrance. 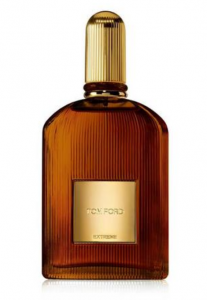 After its release, Tom Ford Extreme quickly gained popularity among young men. It’s mild yet intense fragrance offers a more sensual approach to style that was sought after by many young men. Tom Ford Extreme always seems to impart a personal style and confidence into its users. The sweet smell of this fragrance, accompanied by its masculine scent notes, will intrigue not only the ladies but also other men who dare desire to be in the wearer’s shoes. Tom Ford Extreme Eau De Toilette Spray is precise. At first glance, you get hold of a cuboid-like box that comes in neutral colors of bronze or dark amber. A look into this box and you will quickly realize that you have hit the cologne jackpot. Inside, you find a transparent glass bottle with an elongated lid that holds approximately 50 ml of its scented, liquid contents. This packaging of this product has a simple yet striking look that definitely should appeal to most men. The major ingredients in this Tom Ford cologne include lemon, orange, citrus, grapefruit, basil, bergamot, amber, mandarin, ginger, vetiver, violet leaf, black pepper, oak moss, tobacco leaf, cedar, leatherwood, patchouli, and cypress. Ingredients such as oranges, grapefruit and cypress impart the cologne with a sweet fragrance. The masculinity of the cologne is enhanced with hints of tobacco leaf, cedar, and oak moss. The blend of all of these ingredients works perfectly to add an extra oomph to the classic woody men’s fragrances. Tom Ford Extreme , being an eau de toilette, has a low concentration of perfume. Its high water content makes it a fairly mild fragrance. This makes it the go-to fragrance many people reach for when attending special occasions and events. Its mildness prevents it from overpowering you or your personal environment. 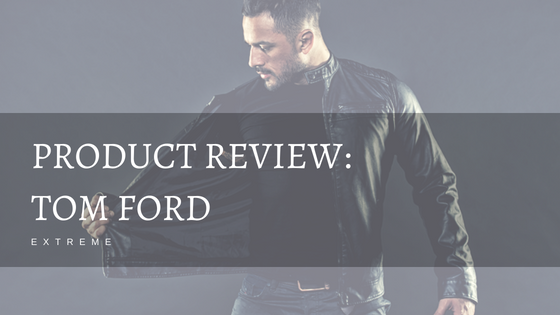 This Tom Ford cologne is applied directly to the skin for that long lasting fragrance smell. This limited version of the Tom Ford cologne can be bought in Tom Ford boutiques, exclusive beauty shops, and some online stores. It is not that different from the original Tom Ford for Men. It is not as intense as the name ‘extreme’ suggests.